Hepatic pseudolesions are non-neoplastic abnormalities which may be sub-divided into parenchymal pseudolesions and vascular pseudolesions. Parenchymal pseudolesions include focal fatty change, focal sparing, inflammatory pseudotumor, confluent fibrosis, pseudotumor hypertrophy and hepatic peliosis. Vascular pseudolesions, on the other hand, are non-neoplastic hepatic pseudole-sions such as APS, THAD, and vascular abnormalities associated with Budd-Chiari syndrome. Non-neoplastic abnormalities are clearly depicted with modern imaging techniques and arise principally due to blood flow abnormalities. 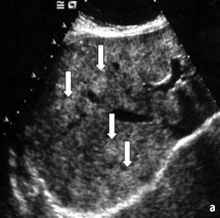 These pseudolesions often occur focally and can be found in both cirrhotic and non-cirrhotic livers. The main clinical difficulty is to detect and discriminate these non-neoplastic lesions from benign and malignant hepatic neoplasms . Fatty liver infiltration is a common, metabolic complication of a variety of toxic, ischemic and infectious insults to the liver, such as obesity, diabetes mellitus, alcoholic liver disease, malnutrition, and chemotherapy. Other causes include hy-peralimentation, inherited metabolic disturbance, inflammatory bowel disease, severe hepatitis, endogenous and exogenous steroid use, and pregnancy . Generally, fat is deposited in response to different metabolic changes, such as increased hepatic synthesis of fatty acids (ethanol), decreased hepatic oxidation or utilization of fatty acids (carbon tetrachloride, tetracycline), impaired release of hepatic lipoproteins (steroids), or excessive mobilization of fatty acids from adipose tissue (alcohol, steroids). The prevalence of focal fatty infiltration of the liver increases significantly with advancing age; whereas it is uncommon in infants and young children, it is present in roughly 10% of the adult population . There are both diffuse and focal forms of fatty liver infiltration. Approximately 30-40% of cases occur focally, either as solitary areas (10% of cases), or as multiple areas with a more widespread distribution (20-30% of cases). Most cases of fatty liver infiltration are of the diffuse type with a segmental, lobar, or irregular distribution. A common site of fatty liver infiltration is the ventro-medial portion of the medial segment adjacent to the falciform ligament . Portal flow decrease leading to hepatic nutritional ischemia is a common finding at this site and it is this decrease in portal flow that induces the deposition of fat. 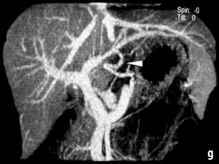 Frequently, sys temic veins, such as the inferior vein of Saffey, supply this area in the absence of portal hypertension. Other common sites for the focal deposition of fat include subcapsular regions and the dorso-medial portion of the medial segment. When irregular fatty liver or multiple focal fat deposits are seen, they are typically distributed widely with no obvious relationship to vascular flow. 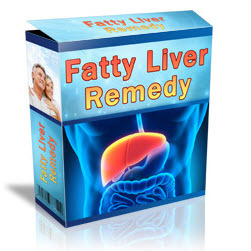 In many cases fatty liver may be transient, appearing and disappearing comparatively rapidly. Moreover, it is often reversible with substance abstinence. 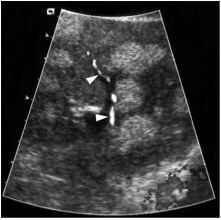 On ultrasound (US), a key indication for fatty liver infiltration is accentuation of the brightness of parenchymal echoes. While diffuse forms of fat infiltration typically have a homogeneous appearance, in some cases an extremely heterogeneous or pseudonodular appearance is noted, simulating diffuse nodularity. In the case of focal fatty infiltration, areas of fat deposition may be seen as solitary hyperechoic areas, multiple confluent hyperechoic areas, hyperechoic skip nodules, or irregular hyperand hypoechoic areas (Fig. 2). Color Doppler exam inations typically reveal no mass effect or vascular distortion (Fig. 3). Some studies have examined the sensitivity and specificity of US for recognizing fat, as assessed on liver biopsy in patients suspected of having liver disease. Not surprisingly, the sensitivity of US imaging for the detection of fat increases with increasing degrees of steatosis. The mean sensitivity and specificity values vary from 60% to 90%, and from 80% to 95%, respectively. Unfortunately, US is not able to differentiate simple steato-sis from non-alcoholic steatohepatitis, both of which may co-exist [17,22]. 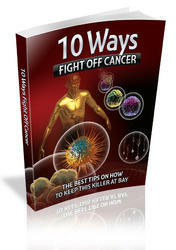 tribution) are detectable on CT (Fig. 5). On unen-hanced CT a diffuse distribution is seen as a general decrease of attenuation throughout the organ. Conversely, focal depositions of fat are identifiable as low-density, poorly demarcated, spherical or non-spherical areas that show no mass effect and which have a central core of inconspicuous hepatic tissue of normal density. However, multifocal fatty liver disease that simulates multiple lesions may also be seen (Fig. 6) . 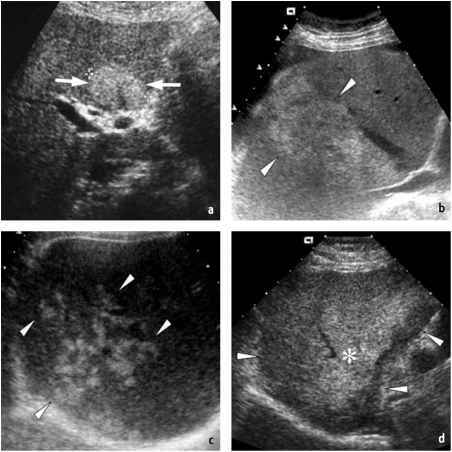 On unenhanced T1- and T2-weighted MR imaging, fat deposition is typically characterized by slight hyperintensity relative to the normal liver parenchyma. Whereas conventional spin-echo sequences are relatively insensitive to fat deposition, the use of short tau inversion recovery (STIR) or other fat-suppression techniques may reveal the presence of fat deposition as areas of lower signal intensity. On the other hand, possibly the best imaging technique to detect and discriminate intra-cellular fat is chemical-shift imaging. On in-phase images, the signals from fat and water are additive, while on opposed-phase images the fat signal is subtracted from the water signal. Lesions or areas containing fat and water therefore show a loss of signal intensity on opposed-phase images when compared with in-phase images (Fig. 7). 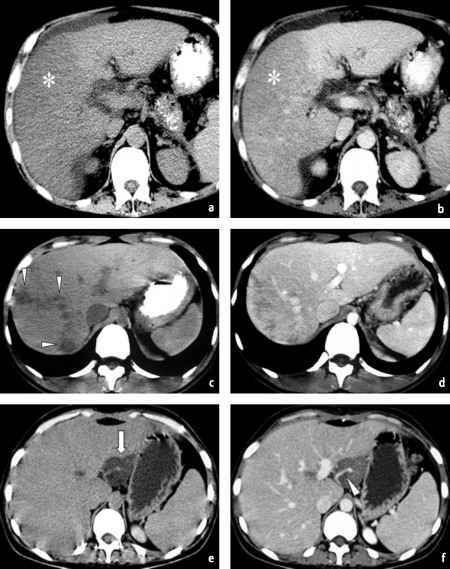 On T1-weighted images acquired during the arterial phase of contrast enhancement after the bolus injection of a gadolinium contrast agent, focal fat depositions generally appear as isointense or slightly hypointense compared to the surrounding liver parenchyma, depending on the degree of steatosis (Fig. 8). Conversely, during the liver-specific hepatobiliary phase after Gd-BOPTA the typical appearance of focal fat depositions is slightly hypointense compared to the normal liver. This occurs because of "hepatocyte ballooning" which impedes the ability of the otherwise normal hepa-tocytes to take up Gd-BOPTA. This is particularly apparent on opposed-phase chemical shift imaging (Fig. 9). With regards to diffuse fatty liver, this is typically seen during the liver-specific hepatobiliary phase after Gd-BOPTA administration, as a marked homogeneous increase in liver parenchyma signal intensity.